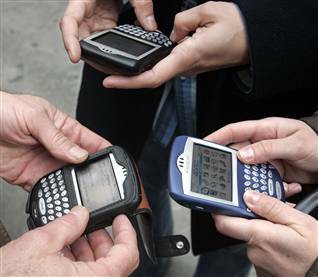 There is little, if any, doubt that devout blackberry users will be suffering from the early stages of withdrawal, as we reach day three of the Blackberry blackout. Since the beginning of the week users of the popular device found that their email, instant messenger (BBM) and internet services have slowed, halted or became completely unavailable. These ongoing service disruptions are the worst of their kind, even surpassing a similar outage that swept North America in 2009, and comes on the week Apple prepares to release its iPhone 4S. After a plummet in share prices and a string of unfortunate quarterly results some investors are calling for a change in management, suspension and even a sale of the whole company. Some companies, who have subscriptions to RIM’s Secure Propriety Services, are opting out to explore alternative devices.